Saints Row games are a bit marmite in the roost with the pigeons. There are those that love the wacky outlandish non serious contender to the GTA series and, there are those that loathe it. I, whilst having never completed the main story in any Saints Row game enjoy just messing around in a sandbox game that, does not take itself seriously. Coming on 20th August 2013, this 4th instalment elevates the Saints status to the highest level, leaders of the free world. In Saints Row IV, the head of the Saints has been elected to the Presidency of the United States. The game is still set in Steelport, but with a new twist, the Saints are fighting off a catastrophic alien invasion. To help with this task, the Saints now have an arsenal of alien weaponry to aid in causing destruction along with superpowers enabling you to leap over buildings, outrun sports cars and send enemies flying with telekinesis. This looks to be the craziest Saints Row game yet and, based on the previous titles, that takes some doing. Watch the trailer below and, join in the discussion over on the forum. Love it or hate it, let us know your thoughts. This is the only game remaining on my 2013 pre order list. Having loved the first game which was released in 2008, Codemasters have had some time to work on the sequel, nearly 5 years although, I doubt they devoted everyday of those last years on this alone. Its a racer from Codemasters so, my anticipation is high. The good guys at Turn 10 have released some new DLC for Forza Horizon in addition to the regular car packs entitled, 1000 Club. This DLC has added 5 new challenges to every car in the game meaning over 1000 new challenges. This DLC also comes with 10 new Xbox Live achievements to collect, worth 250 gamerscore points. Also included are 2 new free cars to enjoy. As found out by Stu, most of the achievements require the use of previous DLC only cars but, that takes nothing away from the additional hours of gameplay this expansion adds to the game. More details can be found here. The site has been a little while without an update so, as its finally spring and, we have pulled out of the long winter, its time to open the windows, pop the lids off the paint tins and spruce the place up. If anyone has any ideas as to anything they would like to see on here, jump over to the forum, post up your ideas for consideration. If its wanted and we can do it, consider it done. 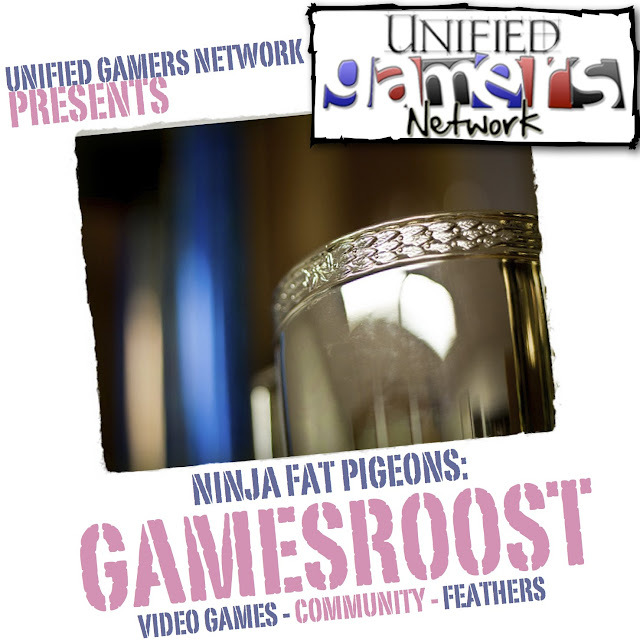 Welcome to our 6th Annual Golden Percy Awards and our 5th Winners in the Roost podcast. Every year we ask the community to tell us their favourite games in each of the video game categories – borrowed from the Golden Joystick awards. We then pick the winners, and overall winner ‘live’ in the pod. The panel for this year’s show includes: Garf Spaceman, Leg of Time, Oxycutor and Xantiriad. Thanks to everyone who completed the survey and took part.